Top contributor UncleDam travels the world with his drone to create amazing videos of exotic places. 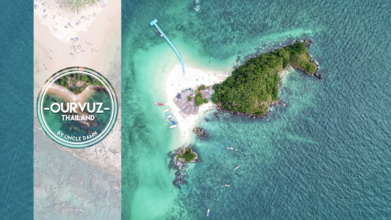 In this video, he creates an unforgettable aerial tour of Thailand, showing some of the outdoor activities available to visitors such as sailing, stand-up paddleboarding, and kayaking. Watch this film to get a glimpse of the wildlife, breathtaking nature, crystal clear blue water, and epic scenery of this Southeastern Asian country.